Our pepper plants are actually exploding right now, and I’m so glad I didn’t rip them out of the ground in frustration rage a few months ago. 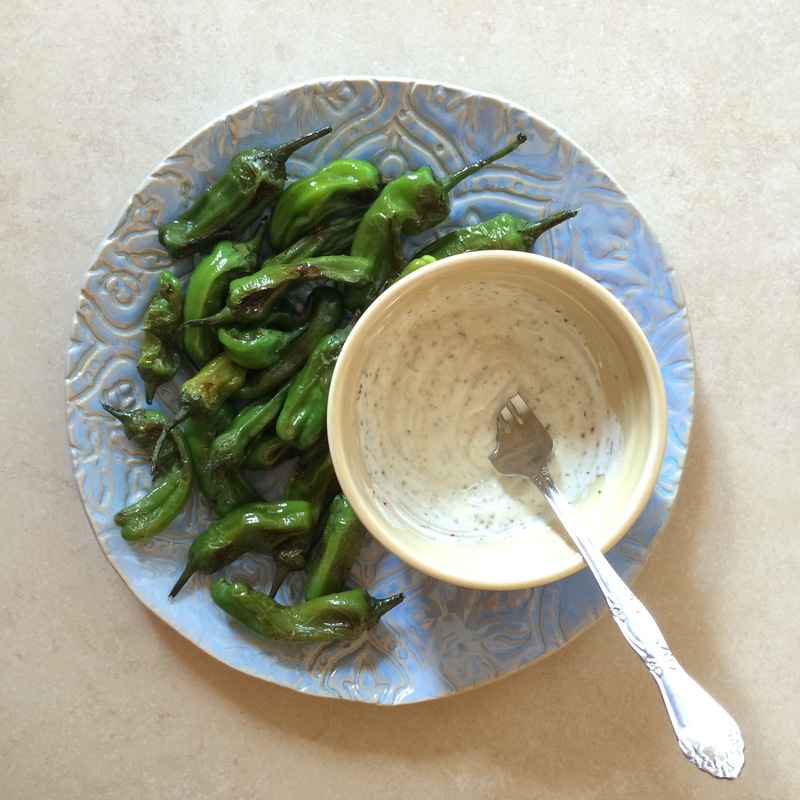 But anyway, we had a good handful of shishito peppers early on, that we roasted in a pan. Along with some basil and chives that we mixed with yogurt and lemon for dipping. Easy and delish. This entry was posted in Eat and tagged Food, garden, peppers, recipe, shishito, vegetables on October 29, 2016 by Chelsea. 1. 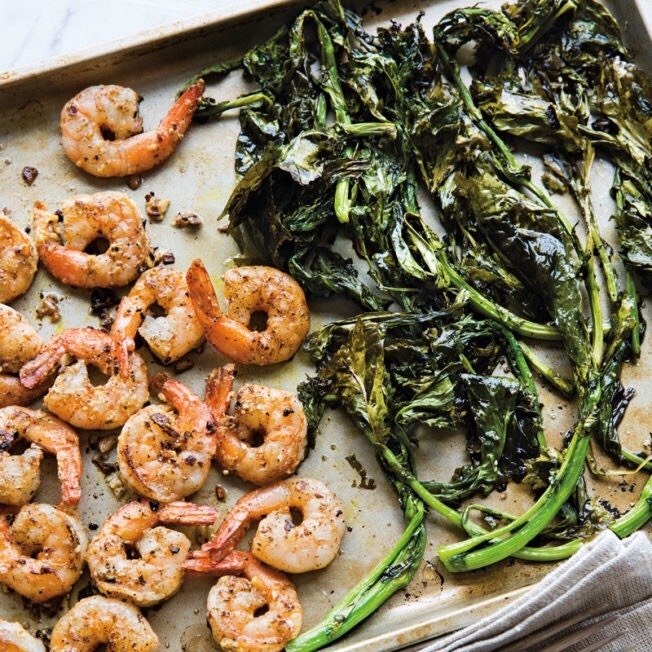 Shrimp and broccoli rabe. We had a bunch of broccoli rabe ready to pick in the garden, so we wanted an easy recipe to try. I don’t think we got the rabe right- it turned out really crispy and nothing like the picture- but the shrimps were tasty. 2. Broccoli and kale pasta bake. Yummy. I thought I had the sauce part all wrong, but turned out just fine. Would make again. 3. 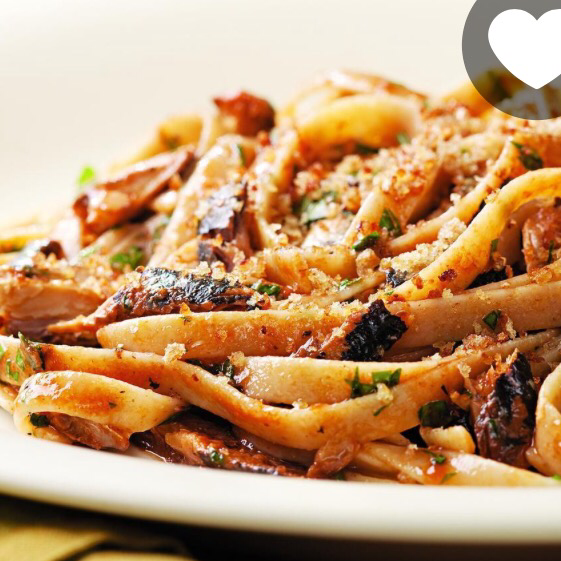 Sardine pasta with lemon and garlic. 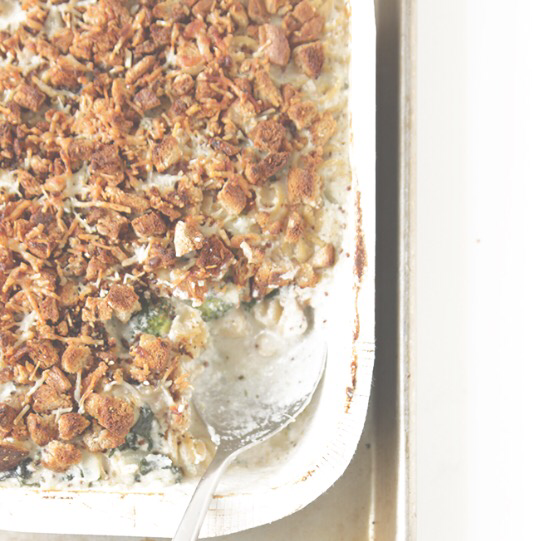 We’ve been trying to incorporate sardines into our meals, and we made a version of this. It was actually pretty good, and little dude couldn’t eat enough of it. 4. 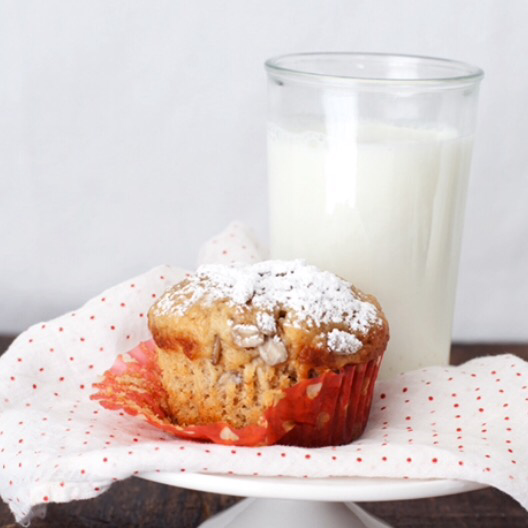 Banana yogurt muffins. Weren’t my favorite. Probably won’t make again. Maybe it was the sunflower seeds we used? This entry was posted in Eat, Finds and tagged Food, recipe on October 27, 2016 by Chelsea. In this edition of my-summer-veggies-mostly-all-died-despite-my-efforts, I made some hummus with our lemon balm, as suggested on the back of the tahini jar. I’ve never grown lemon balm before, but it literally has come back from the dead twice now. Tomatoes and cucumbers acquired elsewhere. 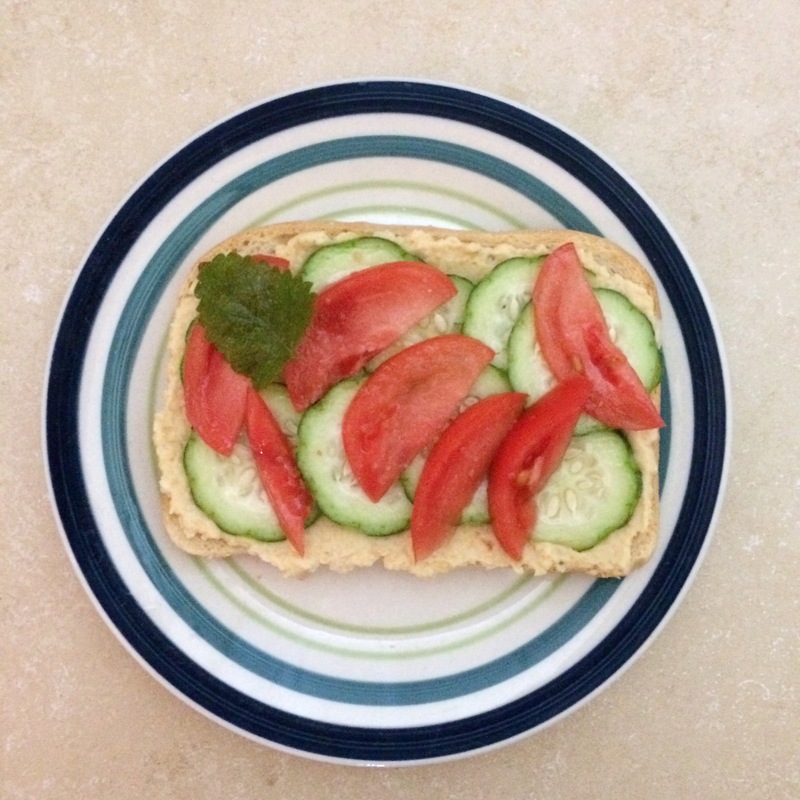 This entry was posted in Eat, Life and tagged gardening, herbs, hummus, lemon balm, summer, toast on September 30, 2016 by Chelsea. The most exciting part of Tuesday- besides yelling at every bird, playing with the sprinkler, whenever the fridge is open, and when Jon comes home- is when our farm box arrives. The cucumber is an addition from our garden, and was also an exciting find. 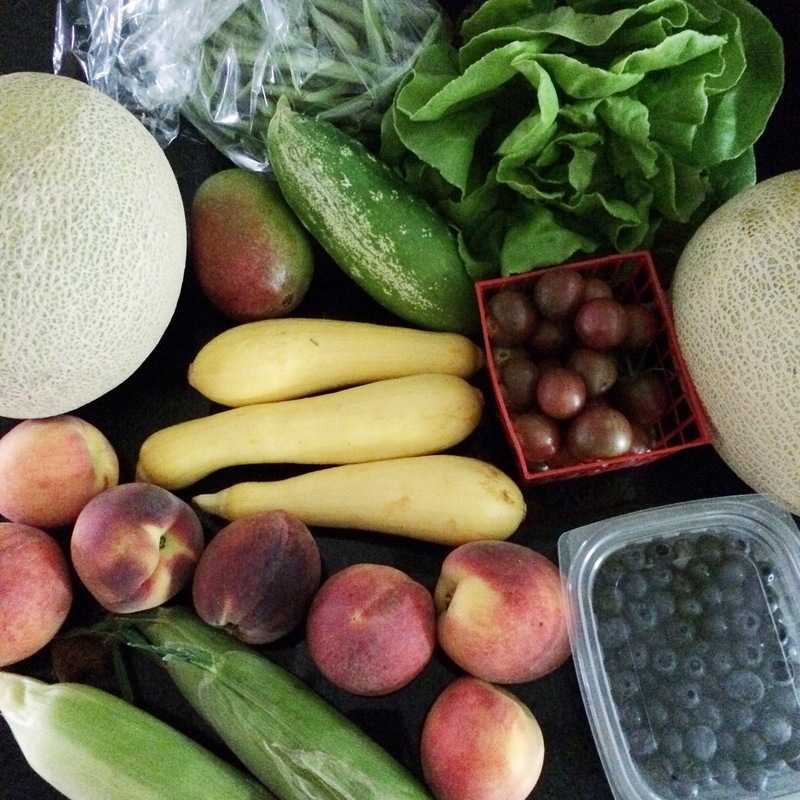 This entry was posted in Eat, Life and tagged csa, farmhouse delivery, garden, local, vegetables on June 30, 2016 by Chelsea. 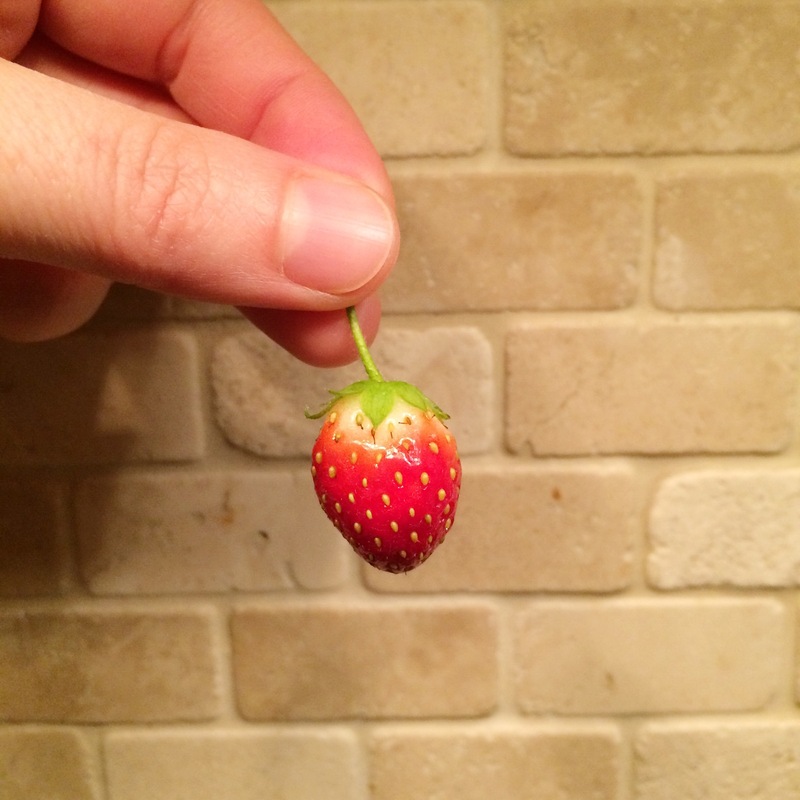 Our strawberries grow in groups of two or three, and are very tiny. So I’ve been saving each one in a bag in the freezer, in the hopes that I can eventually make the smallest, but sweetest, batch of jam. This entry was posted in Eat, Life and tagged backyard gardening, Food, garden, gardening, jam, strawberry on June 29, 2016 by Chelsea. For the record, I hate the word chard. I also wasn’t a huge fan of the veggie until recently. 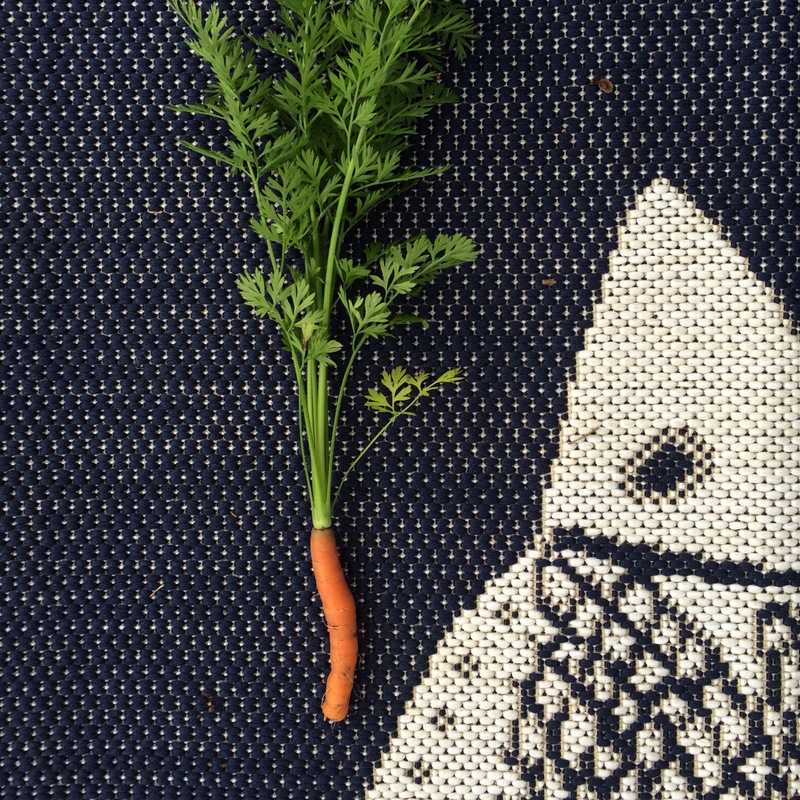 It grows so easily and fast in our garden, so we keep trying to eat it in different ways. 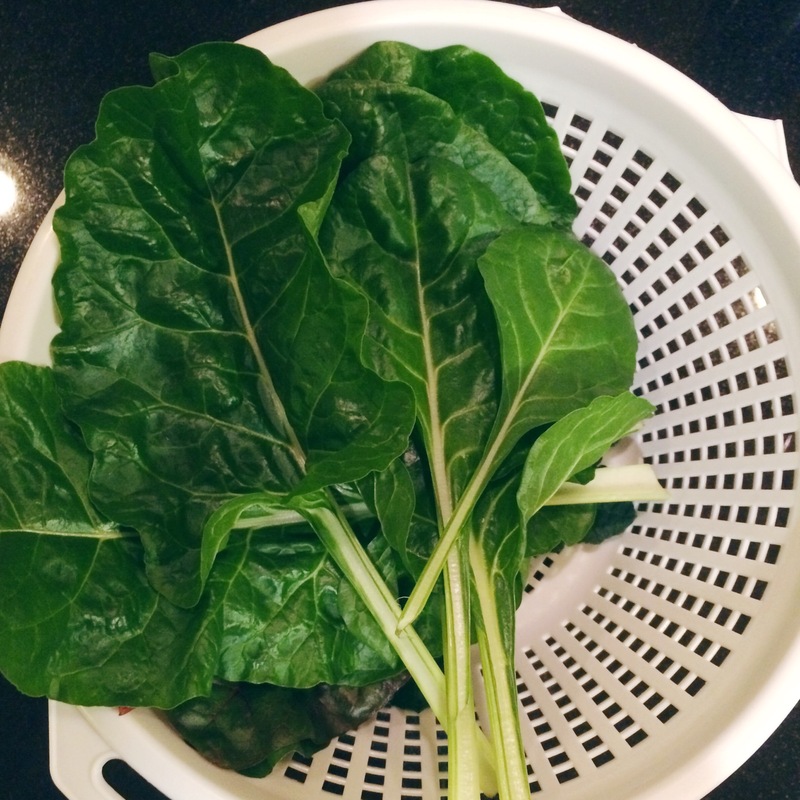 If you don’t think you can grow anything, try growing chard. We stumbled upon this healthy recipe, and we eat it at least once a week. Heat a little olive oil over medium high heat. Add onion and pepper, cook about 5 minutes. Add garlic, then the chard, and cook until soft, about 10 minutes. Then add the beans and cook until they are warm. Season with salt and pepper. This entry was posted in Eat and tagged beans, chard, Food, garden, greens, healthy, recipe, vegetable on March 1, 2016 by Chelsea.